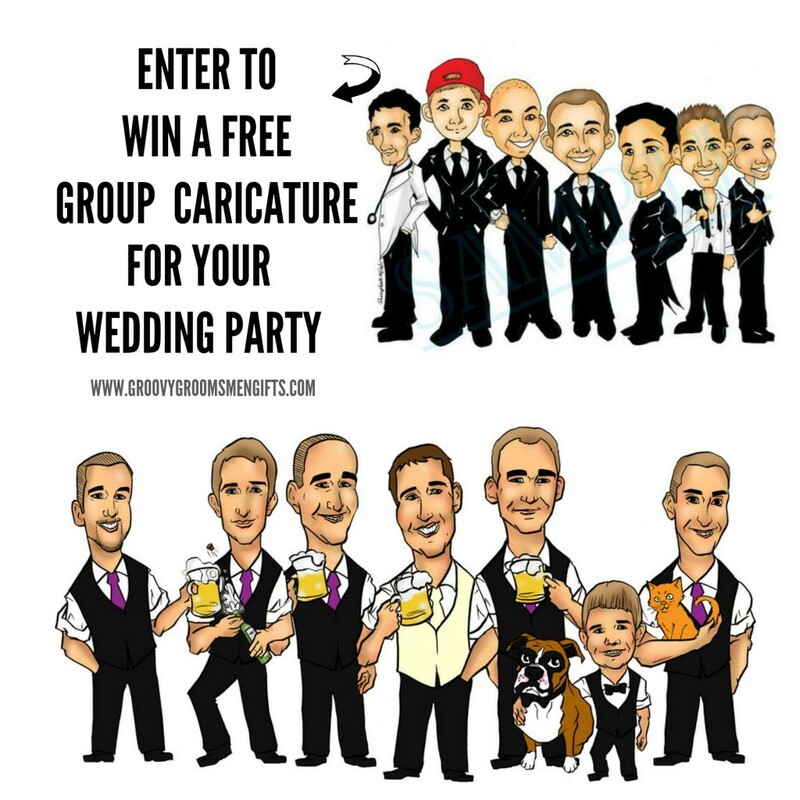 Groovygroomsmengifts.com is doing a giveaway where one lucky person will win a free group caricature of their entire wedding party! A great keepsake worth over $500! To enter the giveaway visit http://bit.ly/1BpZDij.Want to up your odds? 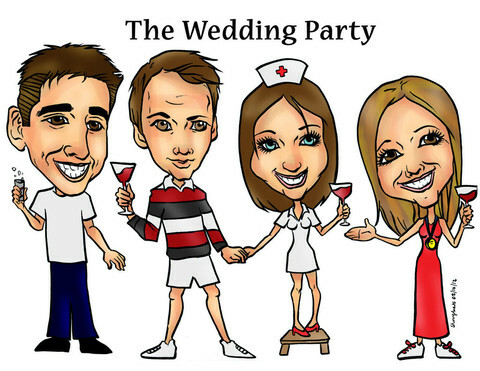 Pass this contest to your groomsmen and bridesmaids and have them submit entries, as well. Take a look at the restrictions below. Good Luck! The wedding you’re entering for, must not have taken place yet. 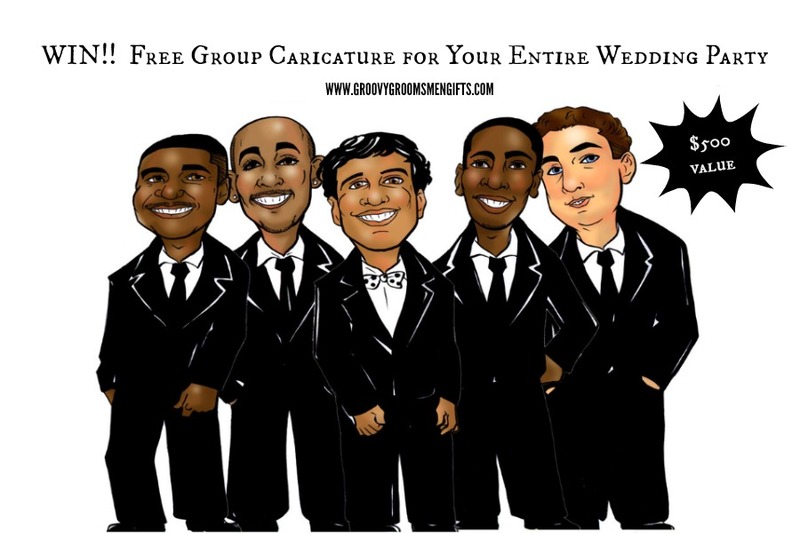 GroovyGroomsmenGifts.com will only draw a group caricature for a wedding party that has not had their wedding yet. No more than 16 people in the caricature. Winners can choose a custom background or a white background. The caricature will take approximately 3 weeks to complete once a winner is selected and contacted. This giveaway does not apply to existing group caricature customers. What are you waiting for? Run over to GroovyGroomsmenGifts.com to enter to win! The giveaway ends on April 9th 2015 so get to entering! You can increase your chances by spreading the love so don’t keep it to yourself!.